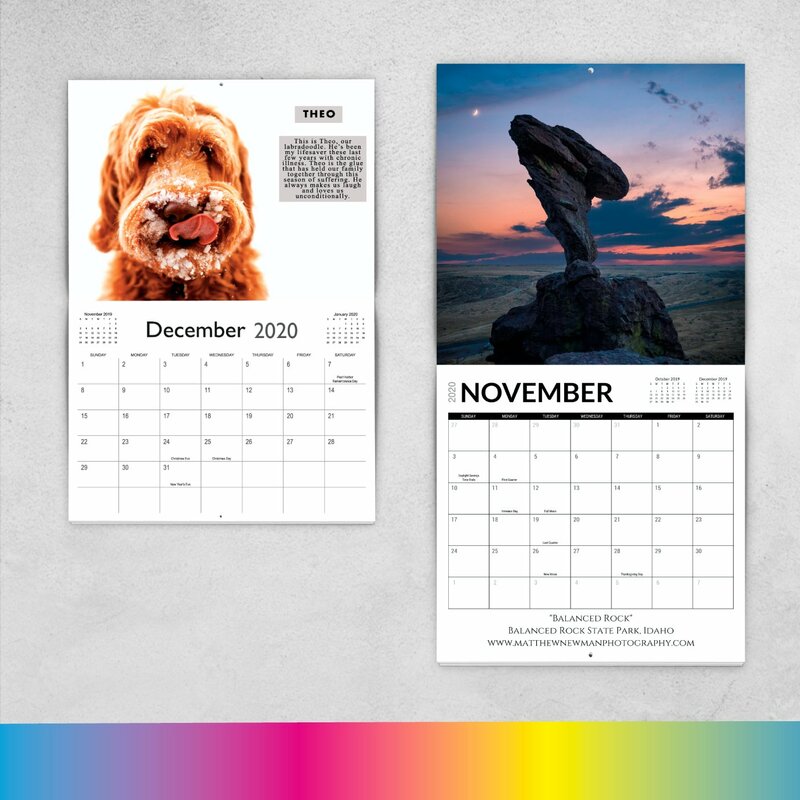 If you’re a fan of giving or receiving custom calendars, then now is the time for you to think ahead­­ to your calendar design for 2020! Whether you are a photographer trying to showcase your work, a nonprofit raising money, or a business promoting your services, it is important to jump into the calendar design with a strategic plan. When you create an aesthetic calendar, you are utilizing the custom calendar as a rare opportunity to have your brand in front of someone for an entire year. So how do you ensure you are seizing this opportunity? 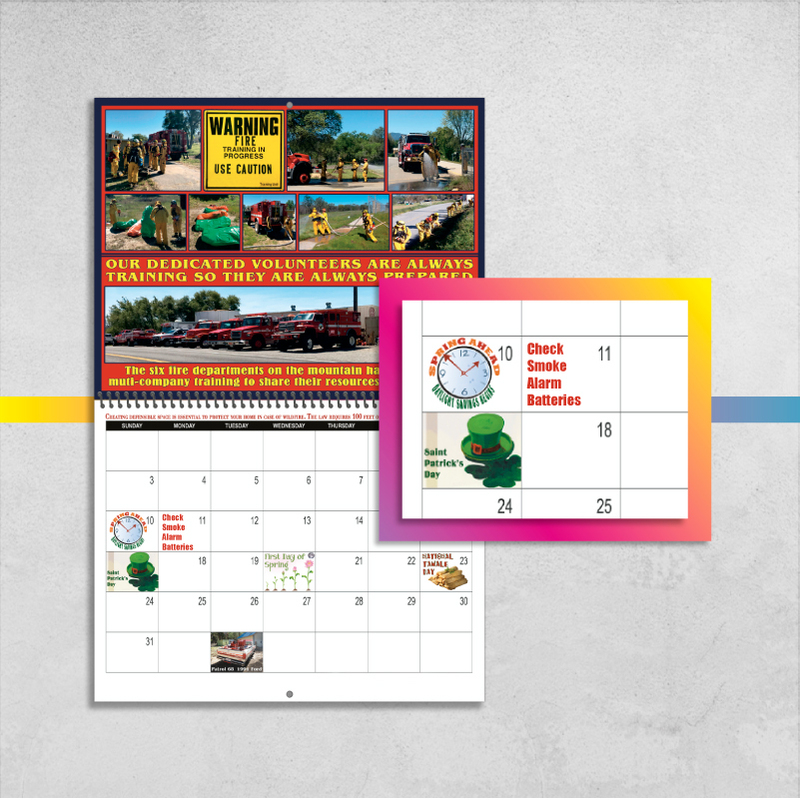 To get you started in the right direction, we have compiled some tips that will guide you through planning, designing, and ordering your custom online calendar. Consistency is key to a successful calendar. Think about your stand-out calendars from the past. Was it a nature photography calendar? A calendar full of cute puppies? Did it include business promotions? Be sure to keep your audience in mind when selecting your theme as well. What type of photos will they want to look at for a whole year? If you are a photographer, then you have the advantage of showcasing your own work without having to search and pay for stock images. But plan ahead! If you’re going on a trip, come up with ideas beforehand for different photos and layouts that can be used as the monthly images in your 2020 calendar printing. For the rest of us non-photographers, it is still crucial that your calendar includes vibrant, high resolution images. This will probably mean that you will have to search online and potentially buy the perfect image. Here are some valuable resources that will ensure you have sharp pictures. Unsplash: These are free, breathtaking images that are free to download at hi-res. However, it is recommended that you give due credit to the photographer if possible. Flickr: If you are using your calendar for promotional purposes, you must be sure to choose “All Creative Commons” under the “Any License” dropdown. Fotolia: You’ll have to buy your images from here, but they have tons of options for you to sift through (especially for puppies). Shutterstock: Whether you’re looking for landscapes, cities or animals, this site has a variety of images available for you to purchase. Really, there are tons of websites out there, both paid and unpaid, that will have exactly what you need. For a more definitive list of these sites, click here. For your business/promotional calendar, be sure to include which days your business will be closed or have obscure hours. For example, if your business will be closed on Labor Day, make note of that on the calendar grid. Another useful element to add into your calendar are deadlines for your most popular seasonal products. For example, if you’re a clothing store that designs custom ugly sweaters for Christmas, you’ll want to put a reminder on your November grid for your customers to put in their custom order by a certain date to ensure they get their item by the holiday. A nice way to thank your customers is to utilize any extra space in the monthly grids by filling it with a promo code. This gives your customers more incentive to purchase from you and puts a positive light on your company. Also, boldly mark the days you have big sales, such as Black Friday, Valentine’s Day, Labor Day, etc. so you can drive traffic to your store during those peak times. To learn more about how you can get the most out of your fundraising calendar, click here. Okay, now that you have your plan, how on earth do you execute the design? Luckily, we have a few design resources that will help you create the perfect calendar. We recently upgraded our online calendar designer, making it easier to design your calendar than ever! 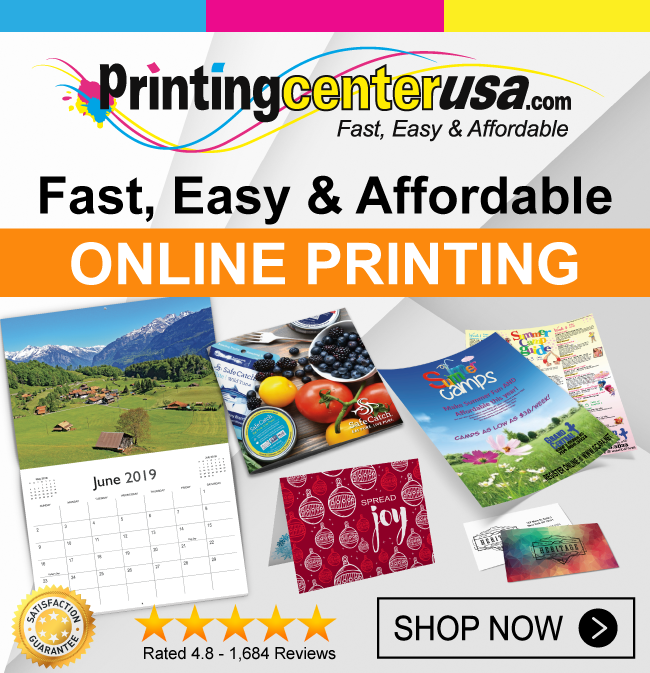 Our new design tool offers 3 binding types (saddle stitch, spiral & wire-o), 3 sizes to choose from (11” x 8.5”, 8.5” x 5.5” and 12” x 12”), as well as 2 grid options (Advertising vs. Generic). Have the Adobe design software (Photoshop, InDesign or Illustrator)? Choose between one of our many free calendar template grid downloads to help jump start your design! If you are starting a calendar project and would like to speak with an expert, feel free to give us a call at 800-995-1555. Ready to place your next calendar order? Visit our website to get started! Taylor Helfrich is a graphic designer at PrintingCenterUSA. 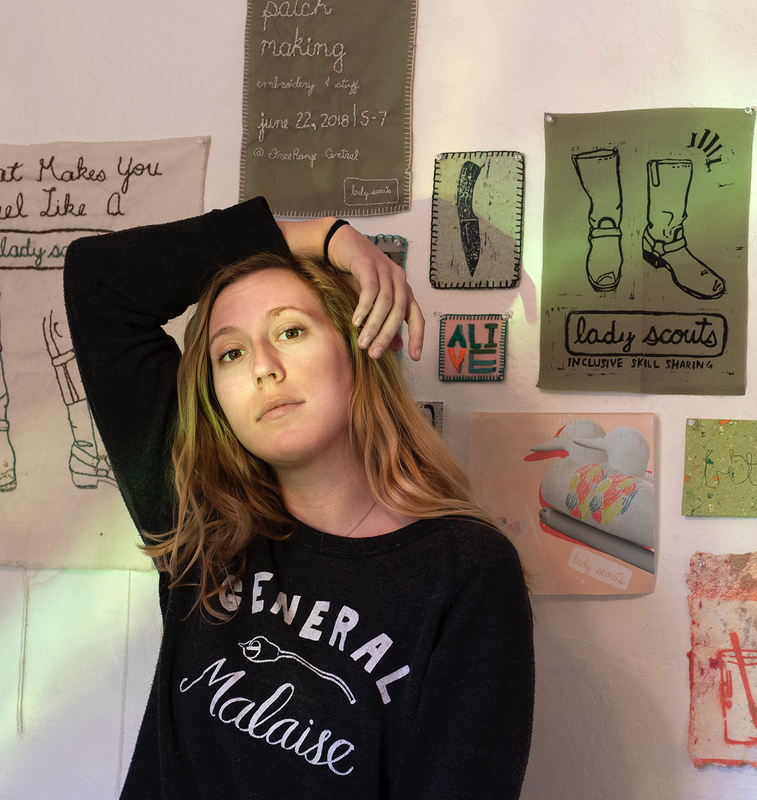 She has a BFA in Studio Art with an emphasis in Graphic Design from the University of Central Arkansas. Taylor is particularly obsessed with utilizing her fine art background to drive business growth. When not at work, you can find Taylor either making art, standing on her hands, or hanging out with her geriatric dog, Gidget.